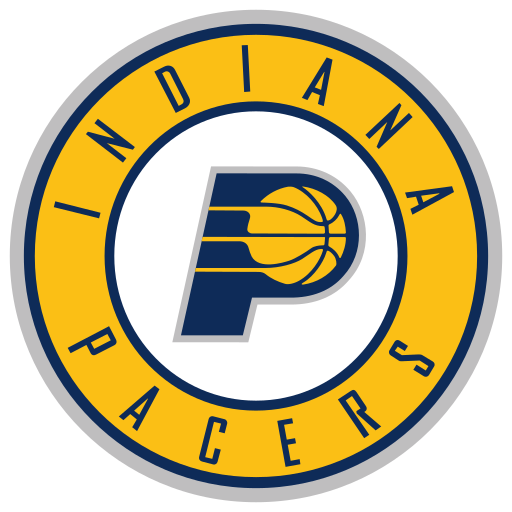 The Indiana Pacers have made moves this summer to cement themselves as a top team in the East. Signing free agents Doug McDermott, Tyreke Evans and Kyle O’Quinn adds to Indiana’s intriguing mix of youth and experience, they maintained cap flexibility and now have a new playmaker in Evans to help Victor Oladipo. A huge part of todays NBA is hitting threes. The Pacers don’t have lots of knock down shooters, so bringing on Doug McDermott makes sense. Threes are always worth more than twos, so not only does McDermott open up the paint for Myles Turner and crew, he can bolster the Pacers offense. The Pacers led the league in shots from mid-range last season, (per Indy Cornrows) sacrificing potential points and accounting for almost a fifth of their field goal attempts. Insert McDermott and not only can the Pacers work the ball inside out, they can use McDermott off the ball to force defenses to commit. McDermott can run off the ball and score similarly to how Ray Allen did for many years. McDermott has shown the ability to finish with authority around the basket too. Nate McMillan can run sets to get looks for McDermott all over the floor, it will be exciting to see how well they pair together. Adding Tyreke Evans helps the Pacers cope with losing Lance Stephenson. Evans can run the offense and give Victor Oladipo much needed breathers. “Reke Havoc” can also get in the passing lanes and force turnovers, he’s averaged over a steal per game throughout his career. Evans is the type of guard who can make plays for himself and dish the ball with ease. Playing Evans with Oladipo would give the Pacers two ball handlers, allowing one of the two to play off the ball. Oladipo is more adept off the ball than Evans, but having that card in the deck is something coach McMillan will definitely test next season. Kyle O’Quinn brings his agile and hostile play from New York to Indiana. O’Quinn has improved each year he’s been in the NBA and now he’s on an even better team. Orlando and New York never competed for all the much when he suited up for them, but the Pacers are poised to make a deep playoff run. O’Quinn’s main strengths are defense and rebounding. He’s a solid post defender when focused and he doesn’t always stuff the stat sheet, but O’Quinn is an impact player. There’s not stats for playing great defense without fouling and not letting the opponent score. Nevertheless O’Quinn is a guy who can do that at times and the Pacers need guys who are willing to rumble in the tall trees. The Pacers are bringing in quality players, but they only have a combined 12 games of playoff experience. McDermott’s played in eight playoff games, Evans played in four and O’Quinn hasn’t experienced the post season yet. Indiana clearly feels their play will translate to the post season and it ought to, but having another, more playoff tested player definitely wouldn’t hurt their bookmakers rating. Indiana has an opportunity to really go deep in the playoffs with LeBron leaving the East. The Pacers are young, well coached and they play together. Now they just have to continue building on all their strengths, shore up their weaknesses and get past the Celtics. The team wearing white and green is the cream of the crop, but the Pacers have what it takes to outsmart any team in a game. Time will tell just how great these moves are, but the Pacers organization has an admirable desire for winning. Desire doesn’t create reality, so now we’ll watch Indiana’s puzzle pieces all come together and hope for a masterpiece. Pingback: Utah Jazz: Best Small Market Team in the NBA?